The Antarctic Treaty celebrates its 60th anniversary in 2019 – we explore the past and study the future to see if it is still as relevant and as effective today as it was when first drawn up. Environmental protection is on most people’s minds when they think of Antarctica, the southernmost continent on our planet becoming the poster-child for global warming in recent years. The importance of the Antarctic Treaty in keeping it protected is certainly still pertinent yet as decades pass and our technological and scientific advances pick up an alarming speed, many are bringing to question its relevance and effectiveness today. As Antarctica continues to face growing threats of exploitation – can a relatively simplistic agreement, drawn up half a century, still be relied on to protect this remote, pristine and unexploited land for decades to come? 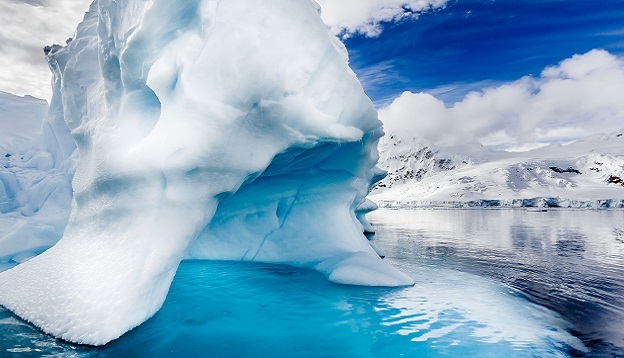 We take a look at the Antarctic Treaty – from the beginning – and see what challenges it may face in the not-too-distant future. How did the Antarctic Treaty come about and what was its purpose? 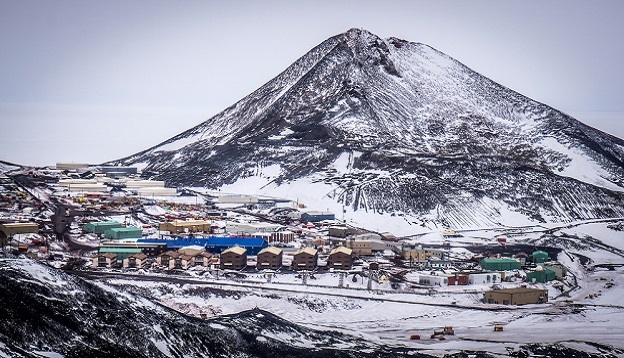 The proliferation of scientific research stations in the 1950s and 60s – and land-claims by varying nations – were the incentives for the creation of the Antarctic Treaty. Originally signed by only 12 nations in Washington in December 1959, the treaty set a few very simple axioms. Antarctica was to be accessed exclusively for peaceful purposes, the only activity allowed being scientific research. Everything else (be it military activity or mineral resource harvesting) would be strictly prohibited. The treaty specifically stated that Antarctica should never be used as a point of contention between nations. It should never be ‘the object of international discord’. As far as international treaties are concerned, the Antarctic Treaty was refreshingly concise but, some say, far too simplistic for it to be still pertinent nowadays, especially given the dramatic change of politics, technology and environmental issues in the last few decades. Yet when push comes to shove, the Antarctic Treaty leaves very little room for doubt and misrepresentation, the primary reason why even nations which have historically been in conflict back home, have been able to operate their scientific research stations next to one another for decades, without any issues. How many countries operate research stations in Antarctica today and who’s signed the treaty? Nowadays, Antarctica is home to more than 80 research stations (split between year-round and summer-only bases) operated by 32 nations. In total, 53 countries s are signatories to the Antarctic Treaty, with voting power given only to those few dozens who actually operate scientific bases on site. Meetings are held annually, with the aim to discuss the most pressing issues – voting, on any given topic, is done by general consensus although – vitally – some countries have the power of veto. Has the Antarctic Treaty been effective, thus far? The Pro: There’s a widespread view is that the Antarctic Treaty has delivered on its promise to protect Antarctica, her wilderness and her unique wildlife, both on land and at sea. Scientific research has flourished in the south and continued unhindered despite the Cold War and whatever other conflict has involved its member nations in other parts of the planet. There’s never been a war in Antarctica and, even in the most contentious times, research stations have collaborated solely for the benefit of science. The annual member’s meetings oversee and discuss new issues which arise so the treaty, in effect, is constantly amended. What was once a pact comprising merely a dozen clauses has evolved to a much more complex organization, called the Antarctic Treaty System. Issues which simply didn’t exist back in 1959 (like a booming tourism industry, for example) have been discussed and acted upon. The Antarctic Treaty is the springboard from which all the strict tourist guidelines, in place today, originated. Proponents of the treaty argue that there’s no reason the world can’t keep going the way it has been, adding and amending laws as issues arise. The Con: Scratch the surface just a little and you’ll discover that the Antarctic Treaty has actually amassed quite a few critics in recent years. There are plenty of experts who claim that rampant illegal fishing in the Ross Sea (as one example) is evidence that the Antarctic Treaty hasn’t been nearly as successful as some have claimed. 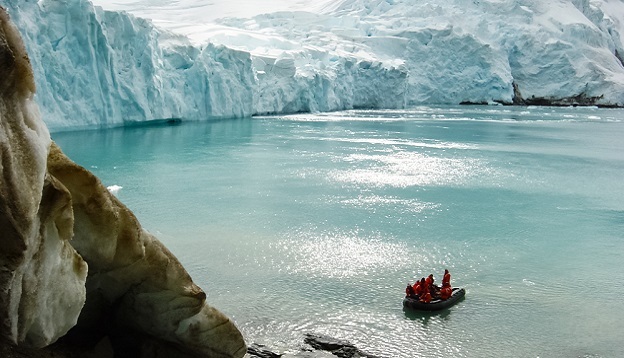 The future of the Antarctic Treaty and its effectiveness have been argued for years. This very interesting New York Times op-ed piece seems as relevant today as it was when first published a decade ago. The correspondent compared the situation of Antarctica to that of Spitsbergen, an Arctic island whose prospects greatly improved once it fell under the protective cloak of Norway rather than be left as a ‘no man’s land’ – the way Antarctica stands to this day. Brendan Borrell suggested that Antarctica should be divided up by nations operating research stations, for its (eventual) greater good. Allowing nations to claim their slice of Antarctica is an extreme and rather preposterous notion to many, yet Borrell’s opinion is that if each nation were free to protect its land – and more importantly, its waters – Antarctica could well be better off. The argument is that Spitsbergen is protected more now (by Norway) than it ever was when no-one claimed it and the same could potentially happen in Antarctica. 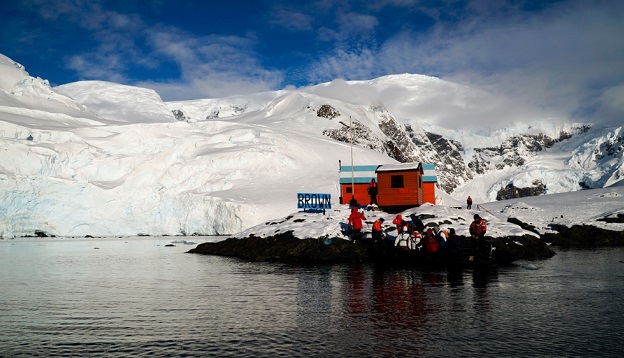 Criticism doesn’t even have to be that extreme – when laws, restrictions and allowances are interpreted a certain way – critics claim that, at the end of the day, countries can do whatever they like in Antarctica, whether or not they’re party to the treaty. Disbanding the Antarctic Treaty altogether and letting countries vie for their own slice of territory down here may be a little extreme (heaven only knows the untold environmental damage even just one country could do in its slice of the territory, given free reins) yet there’s no denying that the treaty, and Antarctica, will be needing some serious protection in years to come. As more countries join the treaty, geopolitical issues are bound to become more prominent and the Antarctic Treaty will continue to face mounting pressure. Yet as argued by Marcus Haward, a political scientist at the Institute for Marine and Antarctic Studies in Tasmania, the Antarctic Treaty System has, so far, been able to deal with rising issues – perhaps not as fast as some would like – yet effectively, nonetheless. If you would like to visit the continent where no war has ever raised its ugly head. Consider a Chimu Adventure. Cruise information can be found here. A perfect time before the crowds arrive. Penguins are nesting, whales are starting to find their way south and there are less tourists than any other time of the short Antarctic summer.